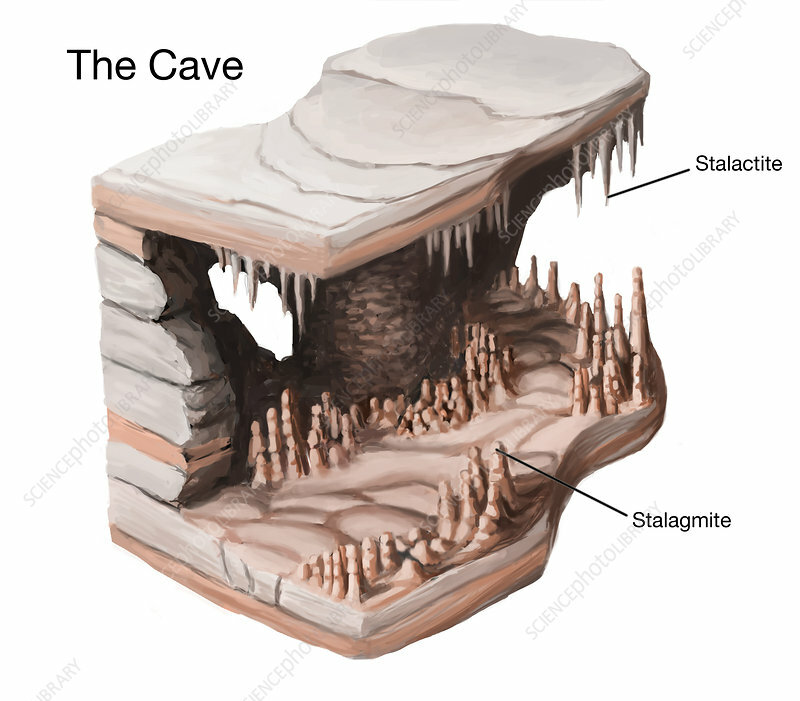 Illustration of stalactites and stalagmites in a cave. Stalactites and stalagmites are secondary cave formations that form when dissolved calcium minerals are precipitated out of solution. Stalactites form from drips of groundwater on the ceiling of caves. Stalagmites form on the floor, usually beneath stalactites. Over time, the two may join.